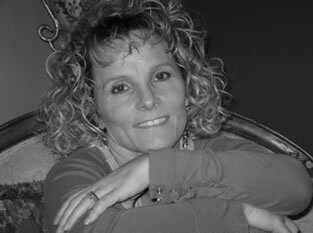 Lisa Tavolacci has lived in Connecticut her whole life and is currently residing in Bethany, Connecticut. She finds inspiration from perennial flowers she has grown in her backyard and all forms of nature scenes. Lisa's love for painting and flowers began as a young child. “My earliest recollections of painting with my father on the wooden easel he made for me. He would come home from work and after dinner he would sit me on is lap and we would paint.” Very creative himself, her father was the only one who encouraged her to pursue art as a career. After one year at Emmaul College in Boston and four years at Paier College of Art, Lisa was offered a job with Hallmark Cards, In Kansas City Missouri. Deciding to remain local she accepted a position at a local company who designed for Sanitas Wall Coverings. She also did freelance wallpaper design and colorings for a Connecticut Designer. Following this, she decided to work in the production process of design and was employed at George Schmidt Company doing color separations. Marriage and family came soon thereafter and painting was laid aside, only to be picked up again almost fifteen years later. Lisa stated painting again in 2004 and had put together quite a large collection of work. Lisa paints with watercolors in a unique way, layering detail upon detail in her paintings. This pain staking process and layering these colors results in a dynamic vibrance and detail that is rarely seen in this medium.